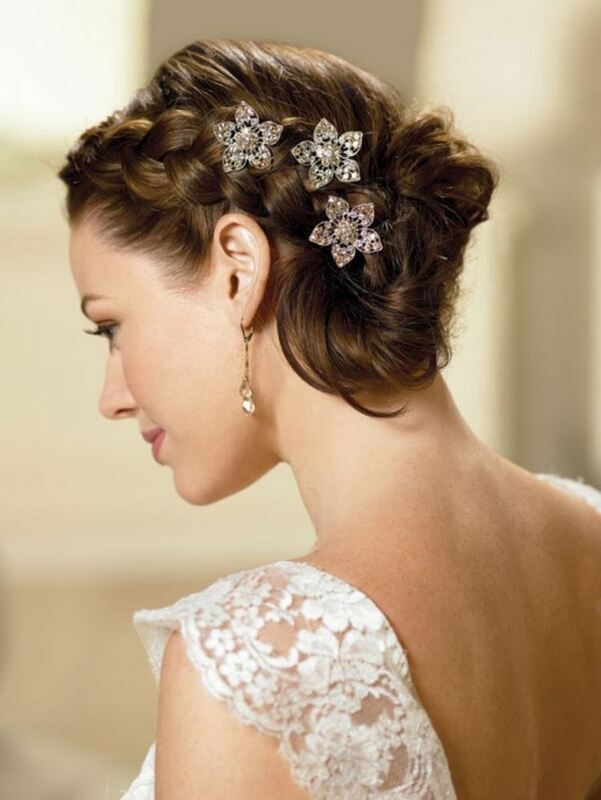 Updo hairstyles are the leading styles chosen by brides all over the world. Why updos you may ask. And the answer is very simple. Updo hairstyles best of all show off your natural beauty, your facial features, the line of you neck. That is the floor length wedding dresses are most of all combined with updo bridal hairstyles, to make you look feminine and elegant. 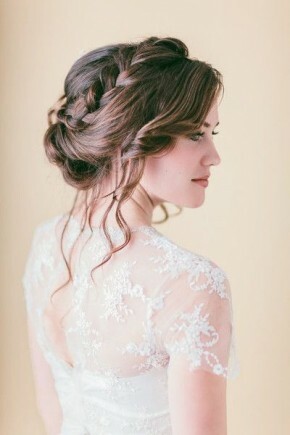 Besides updos are easy to wear and won't get spoiled during the whole wedding ceremony. To find out the most elegant bridal updos 2015 for this spring and summer, you can go through this article to find the evocative popular hairstyles for weddings not only for traditional long hair but for shorter one as well. 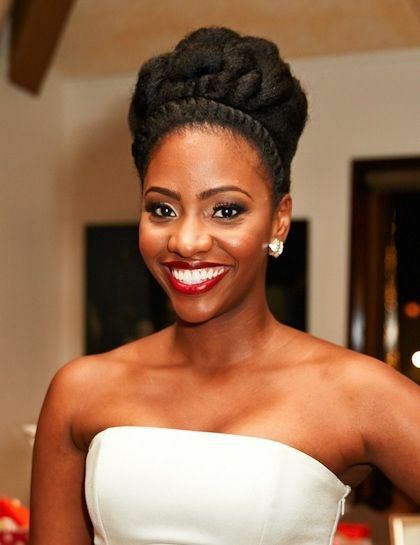 Some hairstyles for natural hair are also introduced in the article. 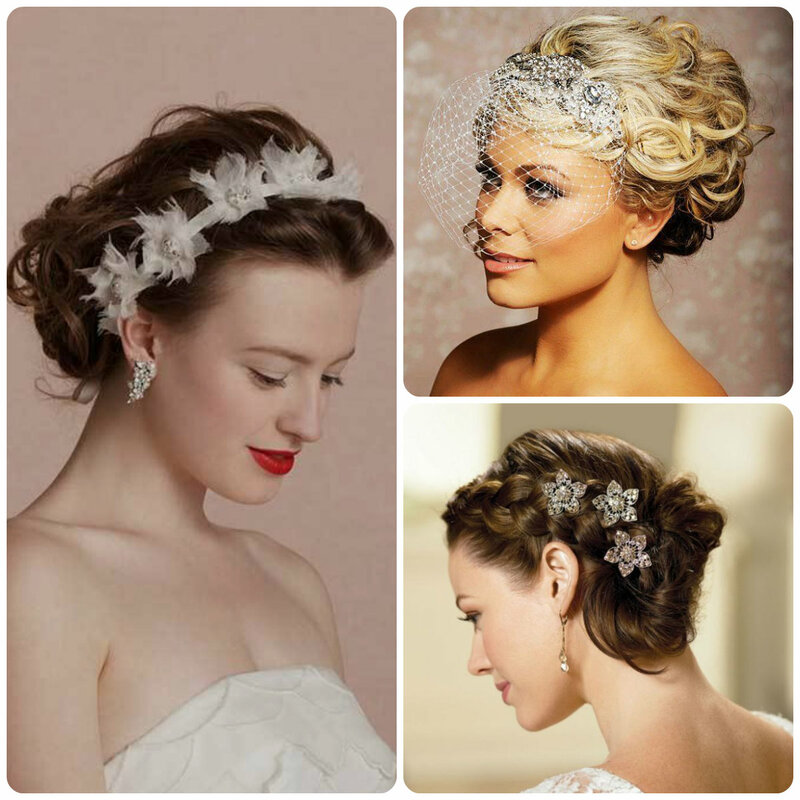 So let's go ahead to see the main hair trends 2015 for elegant wedding hairstyles. 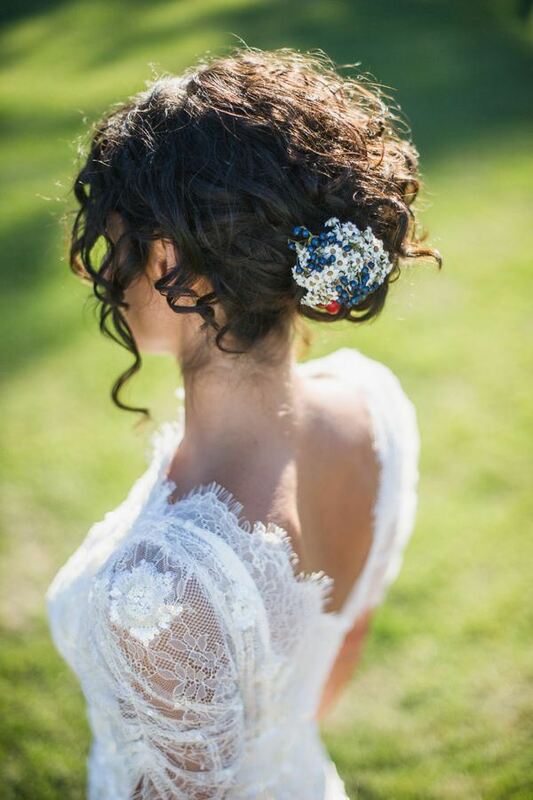 Among curly wedding hairstyles you can find very easy ones that can be fixed with some chic jewel hair clip with shining stones. And on the contrary complicated styles representing a mixture of curly hair and straight tresses and some thin braided strands, like this Greek updo hairstyle. 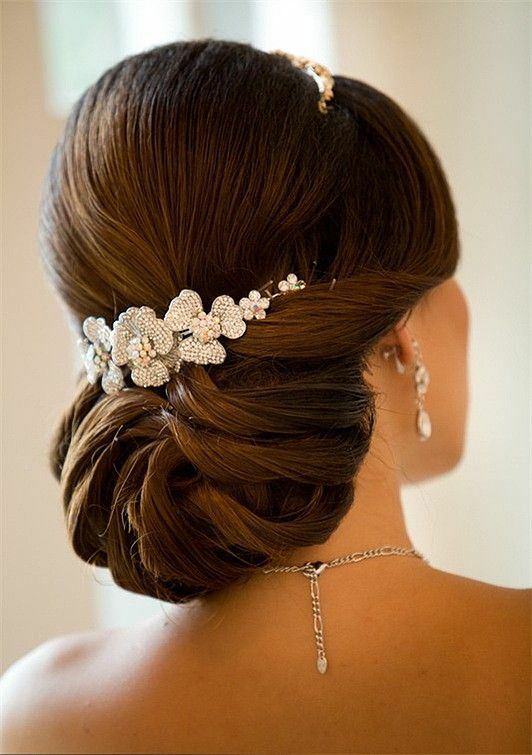 If you are not an owner of long hairstyle, it doesn't mean that you can't have a cute updo hairstyles for brides. This accurate updo with a side braid and jewel flower hair accessories looks very cute and strict. Hair trends of these season have already set the tendencies of natural looking hairstyles. It refers not only to casual every day styles bit to official and special events as well. For wedding hairstyles you can have some admiring flower, or loose braids hairstyle, leaving out some strands will make it look very natural. While we witness so many new styles coming out each new season, even each new fashion show, we can't help admiring the vintage hairstyles, that for brides are one of the best choices. 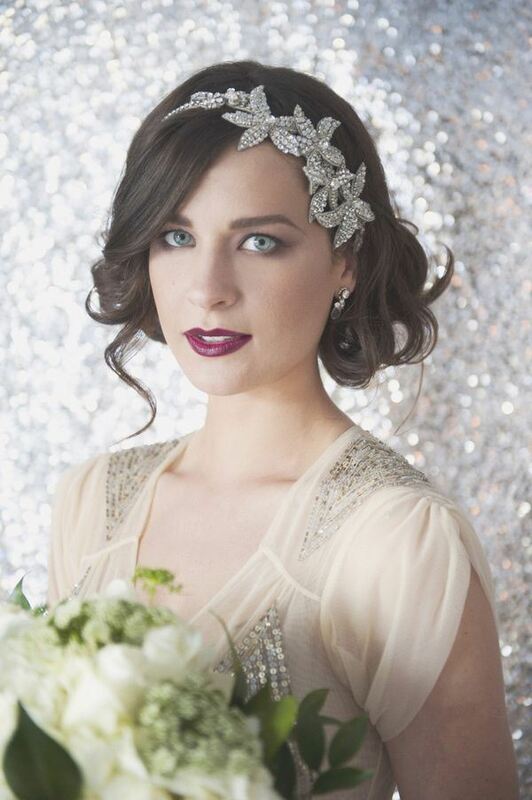 Now that aristocracy and elegance is so much in fashion after the Great Gatsby movie and the Downtown Abbey serials, we get convinced that wedding hairstyles with vintage chic are adorable. While choosing wedding hairstyles you can benefit from having naturally curly hair. If in daily life you find it difficult to manage such hair, for bridal style they can be perfect. 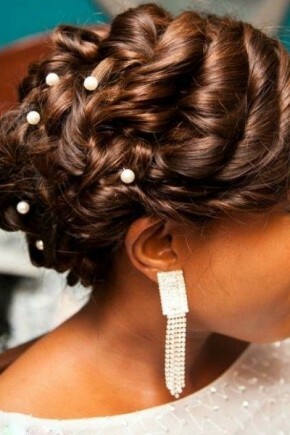 You can have creative updo with a veil, or an updo with loose twists and pearl pins. 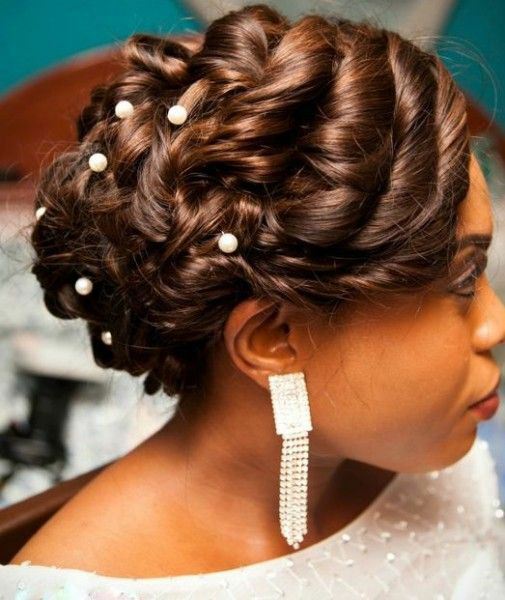 The choice of bridal hairstyles for natural hair is quite wide, yet the most precious looks are achieved by mixing the authentic hair texture of black hair with European elegance and result with such like glamorous updos. The good thing about wedding styles is that you can add very creative hair accessories to easy hairstyles and get inspirational looks. 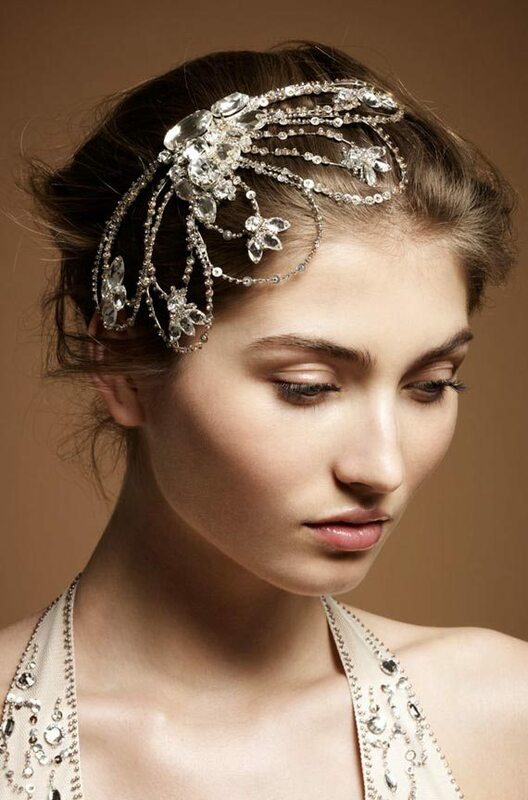 Flower hair accessories are perfect for beach weddings, while jewel hair accessories with precious stones will fit a more conservative wedding. Here is a proff of that simplicity and elegance are the most praised things nowadays. 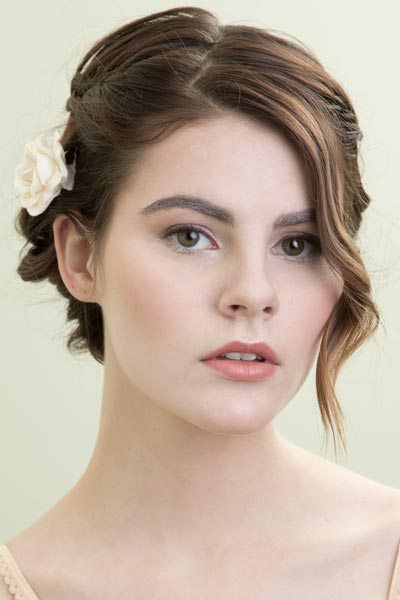 The simple hairstyle of the bride is completed with feather flowers and such updo underlines her tone skin, her neck and shoulder lines and makes her look perfect.